Research Committee: Responsibilities include: (a) Functioning as a research consultant group to SOCIETY members. (b) Building and maintaining a Website Source List (#1) by category, including an assessment of each source. (c) Maintaining the Help Desk (#2) at each monthly membership meeting. (d) Responding to special projects or investigation requests. Networking Committee: Responsibilities include: (a) Maintaining a membership Surname List (#3) in concert with the Website Coordinator. (b) Maintaining a Resource Personnel List (#4) of experienced members who could be available to the Help Desk and/or paired with new members (#5). (c) Creating an interactive capability/facility where members may meet one another to compare notes, address brick walls, discuss common ancestors and/or surnames, investigate geographical area, etc. (d) Organize Special Interest Groups as desired by the members on a periodic basis, etc. Communications Committee: Responsibilities include: (a) Preparing, submitting and tracking press releases for both the print and electronic media, while collaborating with the President. (b) Disseminating, as appropriate, information submitted for distribution from the Executive Committee and Committee Members to the General Membership. (c) Maintaining a quality, current email list in concert with the Membership Committee for communications to the General Membership. Publications Committee: Responsibilities include: (a) Coordinating and editing the monthly Newsletter and all other publications, such as THE ANCIENT CITY GENEALOGIST. (b) Managing an ongoing Writing Group, whose members’ output can provide a source for stories in the Newsletter and/or for other publications. Library Liaison: Responsibilities include: (a) Acting as a liaison with the Public Library. (b) Maintaining a list of the genealogical books in the Library. (c) Notifying the Website Coordinator of changes to the Library’s genealogical collection. (d) Overseeing solicitation and donations to the Library. * Archivist/Historian: Responsible for maintaining all published or approved files, documents, histories, etc. of the SOCIETY as directed by the Executive Committee. Materials to be archived include the Newsletter, SOCIETY correspondence, Executive Committee and General Meeting Minutes and special press releases. 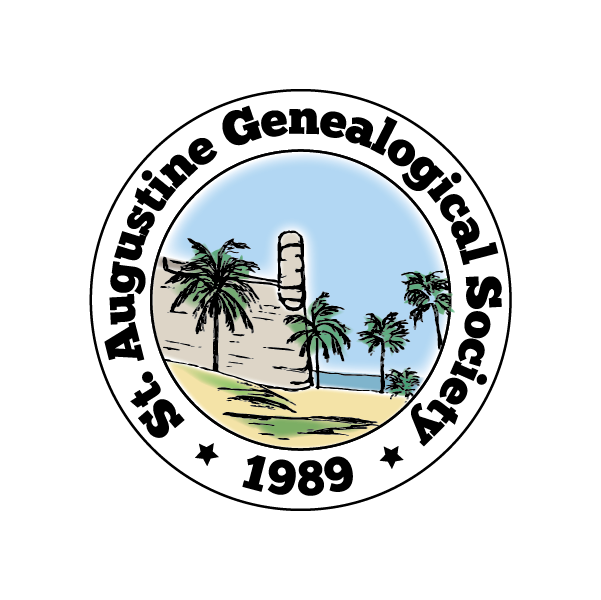 Website Coordinator: Responsibilities include: (a) Maintaining the SOCIETY Website, http://www.stauggens.com. (b) Updating the Website with current meetings and other documents related to the SOCIETY in a timely manner. (c) Making any other changes to the Website as required by the Executive Committee. * Facebook Coordinator: Responsible for maintaining the SOCIETY Facebook page.